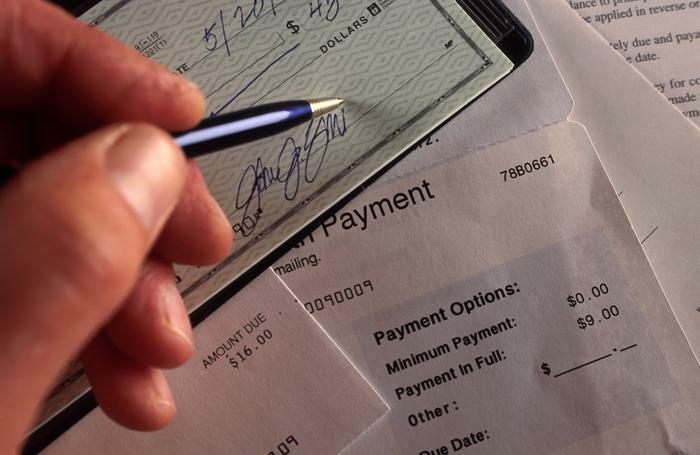 Should I Stop Paying My Bills If I’m Going to File for Bankruptcy? The quick answer here is if you want to keep your home keep paying your mortgage. A bankruptcy discharge removes your personal liability for the debt but the bank still has the right to take the property with foreclosure. Both a chapter 7 and chapter 13 bankruptcy can be used to help you keep your home by delaying foreclosure and setting repayment plans. If you have questions about this contact an experienced bankruptcy lawyer to find out how this can work for you. Same as that home loan or mortgage, if you want to keep your car you need to pay for it.If you are filing or have filed a chapter 13 bankruptcy you should not have to send a payment in addition to the trustee payment. Credit cards are an unsecured debt and will be wiped out by chapter 7 bankruptcy, so yes stop paying them. If you are not filing bankruptcy for a long time you may want to keep paying them to avoid any law suits but once you speak with the bankruptcy attorney you can stop on their advice. Medical debt is one of the most common reasons people file for bankruptcy. Good news is medical bills are commonly unsecured debts like credit cards. So paying your medical bills prior to filing for bankruptcy is not good use of your money. A chapter 13 bankruptcy may help you catch up on any back payment but in bankruptcy alimony and child support are not dischargeable. If you file for bankruptcy, you need to continue making your ongoing alimony and child support payments. Yes utilities are payments for monthly service, if you do not pay them they will be shut off. If the debt is old and you do not use that service then the bankruptcy discharge take care of that. Federal student loans are a nondischargeable debt and must be paid. If you have questions about bankruptcy in Florida please call Kelley & Fulton P.L. at (561) 491-1200. Our experienced bankruptcy and foreclosure lawyers will work with you to understand your options and get a fresh start.